"You may find these buns in the local Chinese restaurants. They do take time to make but they are yummy!" 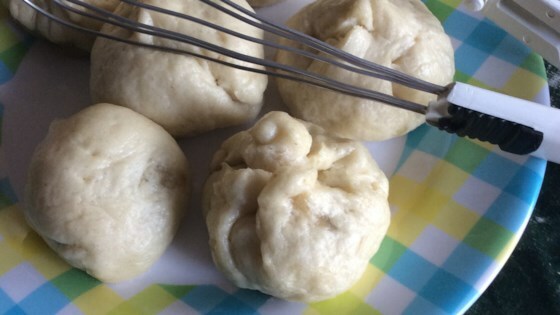 Homemade char siu bao is much easier than you think. The filling was good but doesn't quite capture the same flavor as restaurant char siu buns. But still a hit among family and friends. These are wonderful. I make them all the time in big batches and freeze the ones that we don't eat for dinner since they freeze really well and can just be microwaved later. I loved these on their own, but I fried them on both sides to give a little extra texture... Also, it seems a little easier if you marinate the pork overnight.